BBC Two has unveiled a new poster for the upcoming second series of Top Of The Lake. 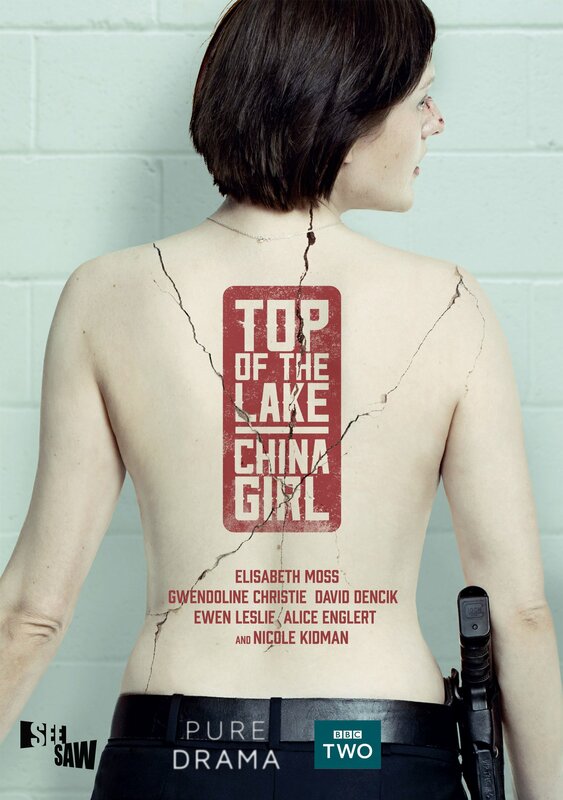 The poster shows lead actress Elisabeth Moss as Detective Robin Griffin, with a cracked China Doll effect for her back – a reference to both the subject matter of the story and the title of the series Top Of The Lake: China Girl. Jane Campion‘s six-part Australian set series, returns with new cast members including, Nicole Kidman, Gwendoline Christie, David Dencik, Alice Englert and Ewen Leslie. Top Of The Lake returns to BBC Two later in the year.